Hi everyone! Today I have another book review for you. Recently I have discovered the joy of buying or even just browsing books at the charity shop. I had never really been to many charity shops before but my friend Kim is an avid charity shopper and always find the coolest items for amazing prices so I thought I’d give my local charity shop a go. Needless to say upon entering the shop I headed straight to the book section. There was a wider selection than I had expected and I found it somewhat relaxing having to fish my way through them all and see what they were due to the books being in no particular order. What surprised me most were the prices, paperbacks are a mere 50p and you can get yourself a hardback for £1. This means that you could buy the entire Harry Potter series for £5! Which brings me to another point; every time I’ve been in there has been at least one copy of every Harry Potter book, who is giving them away?! And why?! Anyway, getting back to the point, I found this book at the charity shop for 50p and had to have it, I mean it’s a summery romance and in almost perfect condition! 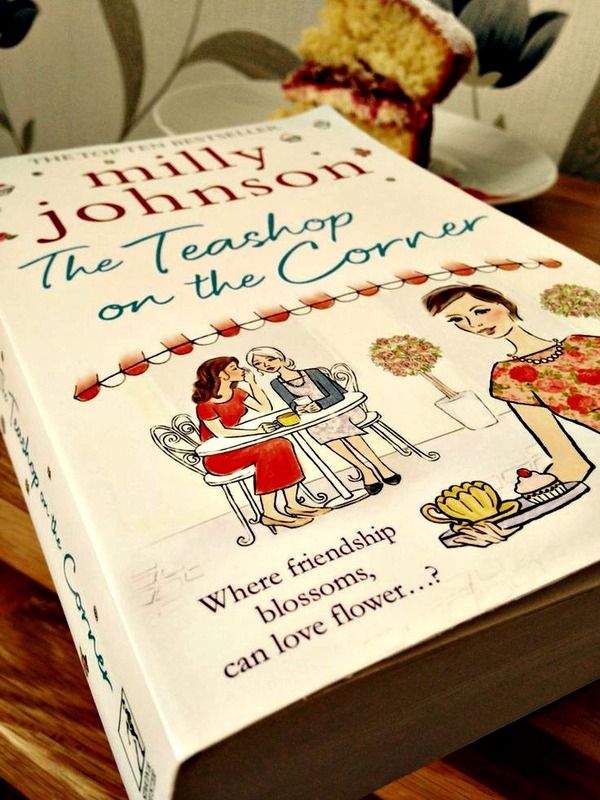 This book takes the technique of many romance novels in that it centres around many characters in differing states of misery who all come together in some way, in this case, to the Teashop on the Corner. We have Carla, a new widow who finds out shocking news about her deceased husband on the day of his funeral. Then there’s Molly, an elderly lady whose shady ex-husband turns up on her doorstep unexpectedly asking for a second chance. The third character is Will, a formerly rich man whose business has crumbled and caused his gold-digger wife to leave him. And lastly there’s Leni, the seemingly cheery owner of the teashop with a tragic past. Overall I found that there were too many main characters in this novel. This meant that some of the characters came off as a little two dimensional and uninteresting as there wasn’t enough time spent on really getting to know them. My favourite character by far was Leni as she was charismatic and cheerful and loved books (there are a lot of bookish references in this novel which will appeal to any book nerd, but specifically anyone who reads classics). Her character was the best written, in my opinion, as we didn’t get to know all of her secrets at once which happened a lot with the other characters so we were allowed the chance to really wonder about her. 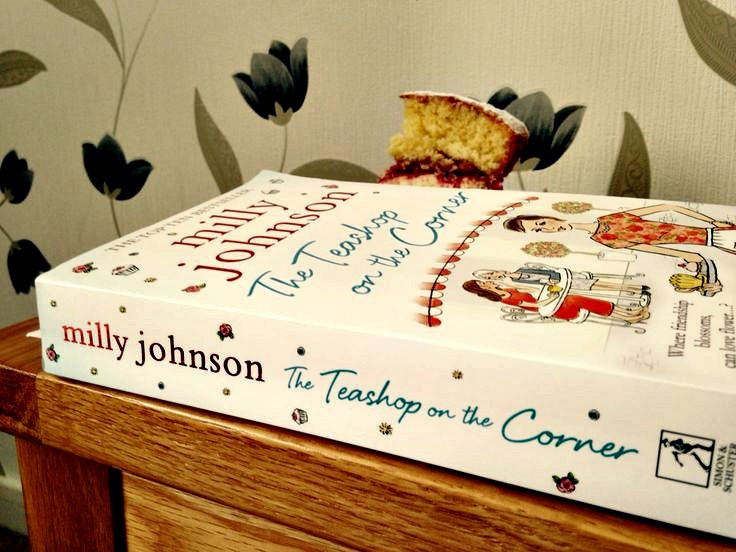 The teashop is a great setting, the cakes are described deliciously and the book related products that Leni sells in the shop sound so cute, I wish it was real so that I could buy them all! The furniture described is really sweet and homey giving the teashop setting a warm tone in the book that almost feels as relaxing to the reader as it does to the characters. This book is set in Yorkshire so there is some slang but not so much that it would be isolating to a non-local such as myself. The writing style in the book was quite simple and very descriptive in the way that it felt like author was sometimes giving us too much. This particularly applied to the characters, basically as soon as we were introduced to them we were told their entire backstory (with the exception of Leni as I have previously mentioned). This was a bit of a turn-off for me as I like to be given the chance to wonder about and try and work out the characters that I’m reading about or at least get to know them slowly, this way the relationships etc are more realistic to read about. Overall I’d say that I enjoyed this novel even though I failed to really connect with any of the characters. It was a cute read and not a bad 50p spent!